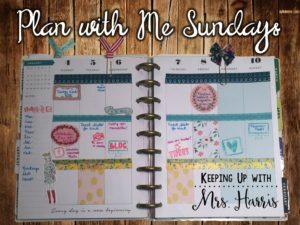 Welcome back to Plan with Me Sundays – New Year, New Organization for 2016! 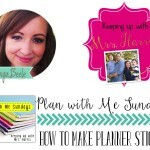 I’m hosting this fun edition with two great planner gals, Kreative in Kindergarten and Caldwell Organized Chaos. 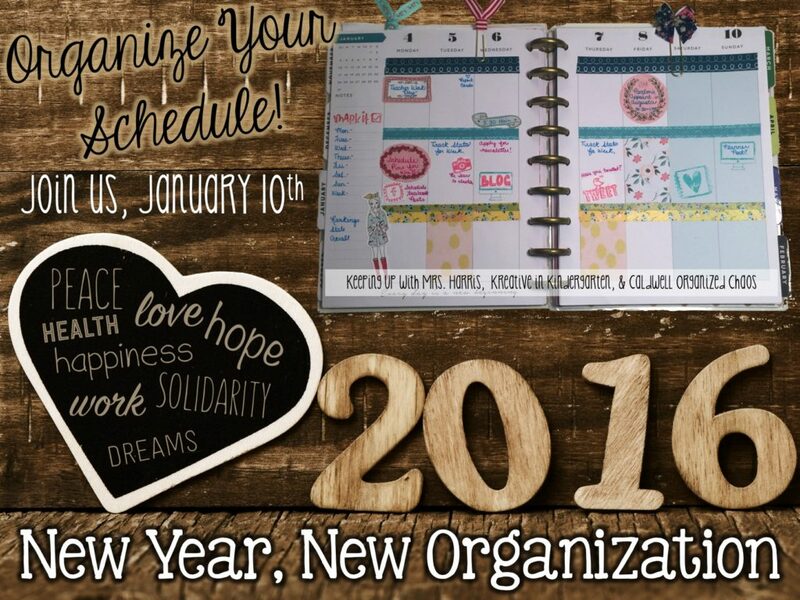 We will be sharing lots of tips and tricks for helping you start your year out organized. 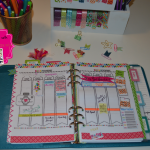 As you can tell, I tend to separate my planner into three areas. 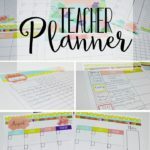 The top is for school events and projects, middle for Teachers Pay Teachers work, and bottom for family planning and to do lists. 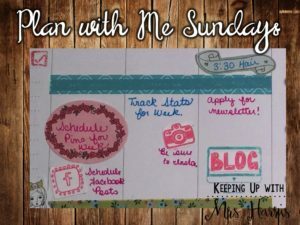 My favorite new trick is using Cameo Sketch Pens to decorate and write for my planner. I don’t have great handwriting so using the Sketch Pens helps write for me! Sketch Pens were on my Christmas list and I was so thrilled to get my hands on a pack! It’s super simple to use them. If you have a Cameo Silhouette, imagine the pens doing all the lines that the blade does. Remove your blade and replace with a pen (cap off). I love using these for doodles that I have bought online. You can also use doodle fonts. 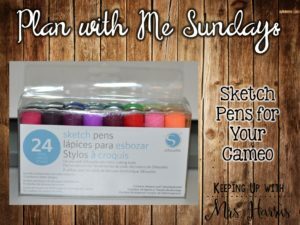 You are going to love how these pens change the way you plan! 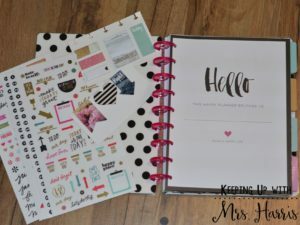 NOW, do you love my Happy Planner? I sure do! 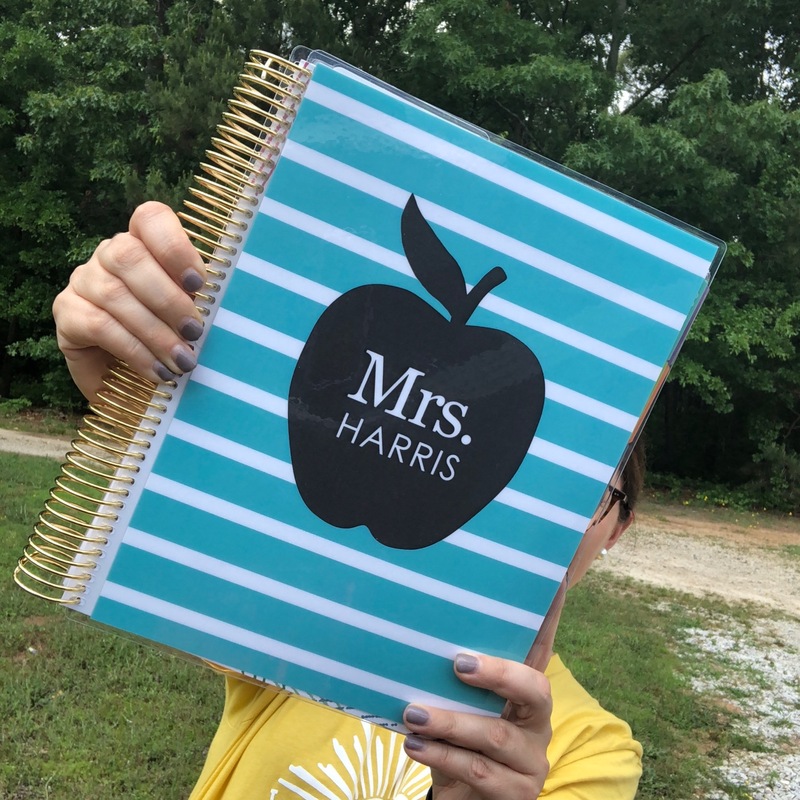 Want to win one? Enter below! Take a look! 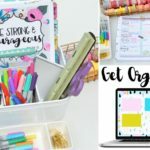 This is the perfect starter kit to get your organized for a New Year, New Organization! 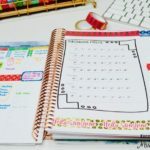 The planner starts with whichever month you would like for it to. 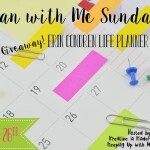 Head on over and checkout the other Plan with Me Sundays – New Year, New Organization posts! 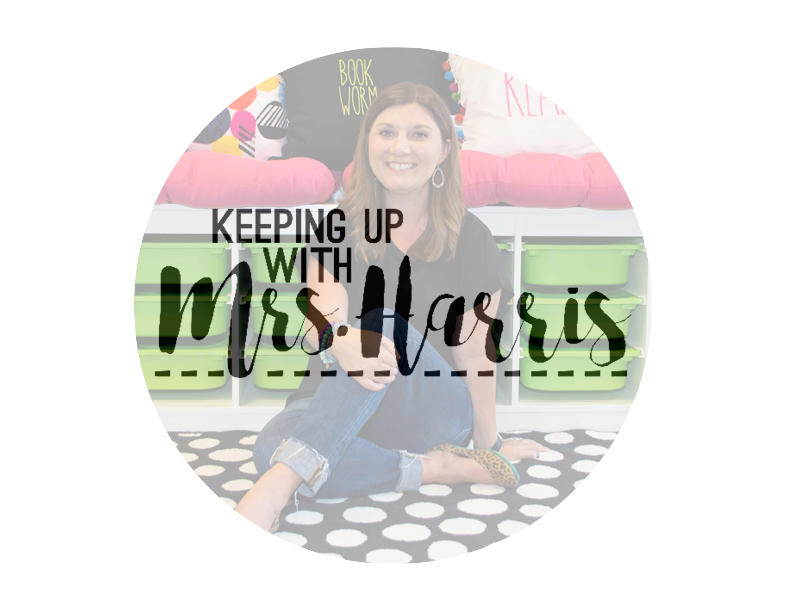 Have a blog? Link up with us below! I would have never thought of using the Cameo! Such a neat idea!! It really makes a difference in the way it looks! I know! I just got tired or writing everything. 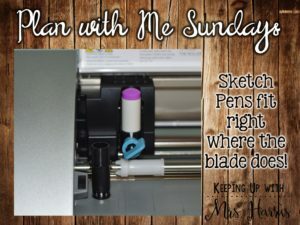 I love the sketch pens! 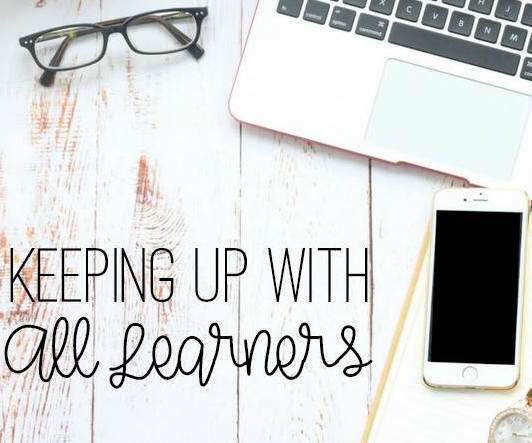 I can’t wait to watch more videos and learn more about using them. Thanks so much! I’ve had it for about 5 months and I do love it!! !